Over my forty years of serving churches as a volunteer, Ruling Elder, Certified Christian Educator, and now as a Teaching Elder, I have always known and claimed the importance of educational ministry and mission working hand-in-hand. Hand-in-hand to form disciples – followers of Jesus who consciously model their lives on the servant Christ. Hand-in-hand to shape apostles – a church that knows itself to be sent by the Father, the Son, and the Holy Spirit, equipped for ministry in the community and the world. That has meant engaging all ages in mission, and structuring that engagement to include teaching in the form of instruction and conscious reflection. That has meant intentional conversation about, and action that shows, we understand ourselves to be called and sent to love God and others. How do church mission partnerships – international/national/local – truly honor the gifts and needs of each partner, and create opportunities for deep and lasting engagement that can be life changing for all? What are some of the most fruitful ways to engage a greater percentage of a congregation in claiming their role as apostles sent by Jesus Christ to love others in meaningful, transformative ministry? Two books were particularly helpful in shaping my curiosity. Darrell Guder’s The Continuing Conversion of the Church, and Jack Seymour’s Teaching the Way of Jesus: Educating Christians for Faithful Living. Guder reminded me of the central purpose of worship – not as an end in itself but as God’s divine preparation for sending (page 133). I experience this preparation weekly in my own congregation, so this clarity makes me look for signs of sending, and then signs of recognition of, and response to, that weekly challenge. And Guder challenges me to see the breadth and depth of Jesus’ intention when he calls and forms the disciples to continue his mission. We are to learn from Jesus, then scatter to witness. “One shall not divide discipleship from apostolate, gathering from sending, community with Christ from witnessing for Christ” (pg 207). Engaging in concrete acts/practices of charity, justice, healing, and community. He makes a compelling case for doing so in partnership with people in other faith communities. “We must join people of hope and goodwill to offer a vision to empower efforts at humanization and social and environmental justice.” When Christians pair education and mission, we “discover ways to live redemptively in the world” (pg xvi). So allow me to offer some observations in response to the two questions that shaped my exploration, drawn from interviews with five churches and from my own experience. I’d love to hear yours in addition, and in response. Focus on relationship before program. Focus on long-term need and long-term commitment. Partnerships take time. Grow the number of people in the relationship, even one at a time, to build interpretive knowledge, ownership and commitment. Invite and then allow the partner to determine and state needs. Work with and not for your partner. Model the side-by-side nature of empowerment. Look for and empower adaptation as a partnership grows. Focus on changing needs and necessary resources. Join already established partnerships that have a track record, especially if you are a small congregation or group and want to learn. Learn from your experiments and mistakes and move on, another sign the relationship is more important than a project. If money is changing hands, create clear financial accountability that includes record-keeping and report. Above all, engage all ages with the mission partners and relationships that are long-standing in the congregation. Rather than looking for new “projects,” explore how children, youth, adults, and retired folks can be informed about and contribute to these community ministries. Attend to relationships as well as service, the matching of needs and gifts, and the long-term trajectory of engagement. Invite and encourage ideas that come from the congregation. Consider how to empower and resource those efforts. Create every-month opportunities to serve for all-ages – both new and unique and tried and true established relationships. Regularity normalizes serving. Notice and even watch for unexpected opportunities. Be aware of needs, and resources, that arise and surprise. The Holy Spirit may be calling. Practice patience. Faithful mission engagement takes deep attentiveness to voices one is not used to noticing. Listen to every conversation with an ear to what is exciting and life-giving for people in the congregation. Ask, What do you (and your family) do that is a response to the call to love God and neighbor? Encourage people to invite others to join them in what excites them. Grow serving and sending by personal invitation. Embrace the big opportunities and relationships but also encourage new ideas and opportunities. The larger the church, the more diversity of interest, engagement, gifts, and call. Notice leadership gifts. Encourage and equip. Mentor and connect. Let me know what insights you have gained in your mission-education adventures. Partnership takes many forms! Joyce MacKichan Walker has been the Minister of Education at Nassau Presbyterian Church in Princeton, NJ, since her ordination in 2007, following eighteen years of serving as their Director of Christian Education. In 2014 she added staffing Nassau’s mission efforts and partnerships to her call job description. 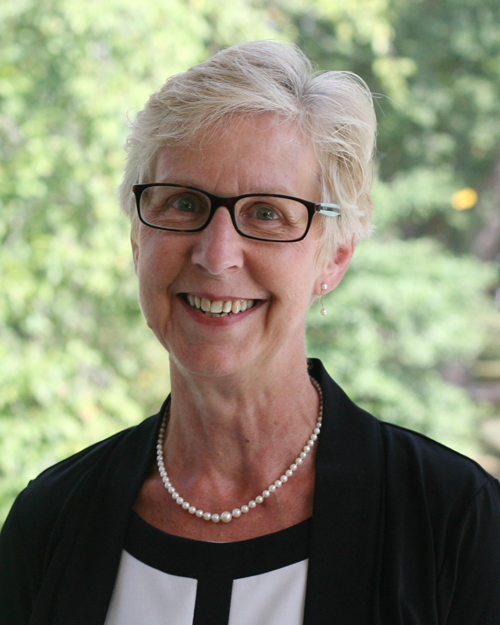 A 1979 graduate of the Presbyterian School of Christian Education (now Union Presbyterian Seminary) and a Certified Christian Educator since 1983, she serves the larger church as a workshop leader and keynoter, and as a teacher for PCUSA educator certification courses. She was the Association of Presbyterian Church Educators “Educator of the Year” in 2008. Coming up: More reflections on Faith Formation and Mission, including articles from Bill Buchanan and Miatta Wilson. We’ll continue to share resources from our Annual Event in Denver. Check out 11 Practical Resource Books from APCE 2017 gleaned by Union Presbyterian Seminary student Linda Kurtz, and originally posted on the UPSem website.